De definitieve resultaten van de 44ste editie van de Waterland Marathon zijn hier terug te vinden. Voor mobiele gebruikers is de resultatenlijst hier te downloaden. Below you find the preliminary startlist as updated until the 5th of april 2016. Subscribing is possible through our online form(insert link), or at the 16th of April on the Viking boathouse. Onderstaand vindt u de voorlopige startlijst van 5 april 2016. Inschrijven kunt u hier(insert link), of op 16 april in het botenhuis van de kanovereniging. Only one week to go before the Waterland Marathon will take place! Are you curious to find out more about the potential winners of the 43rd edition? In this preview we take a look at the impressive list of 123 athletes to see who the favourites are to take home this years win. Sunny day for a race! In only a few hours it is time to start the race! At this moment we have 131 competitors and the race entry is still opened until 11.45! We have a sunny day for racing, hope the wind will not be too harsh on you guys! The boats for our top athletes coming from far have arrived this afternoon. 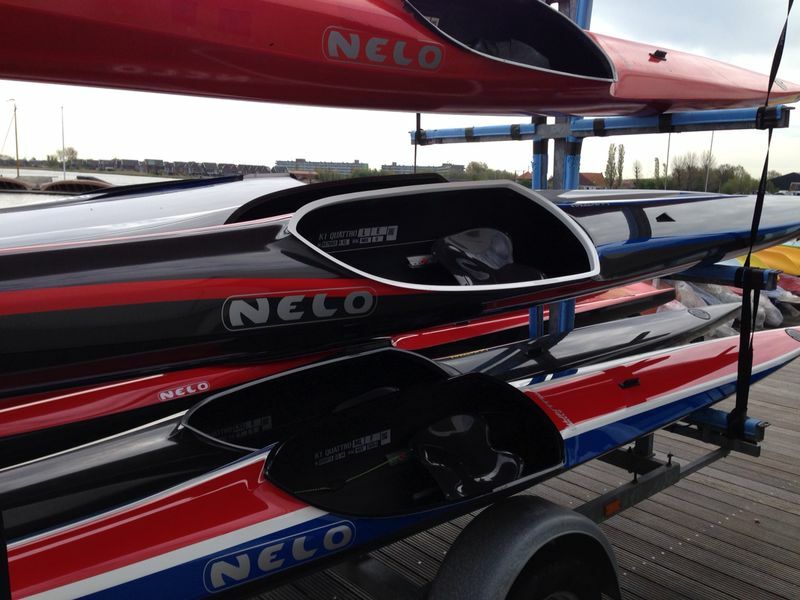 Nelo Kayaks en Canoe Centre Arjan Bloem have send us a full trailer of top notch equipment! With these boats we are sure that our foreign guests will be able to put out the best performance possible. Good weather expected for raceday, good enough to beat the track record?! 42nd Amsterdam Waterland Marathon kicks off ICF classic marathon series. The first race of the ICF Classic Series Canoe Marathon is about to kick off on the Saturday the 19th of April. With an expected nice spring temperature and average winds the international paddlers and Dutchies are in for yet another beautiful edition of the Amsterdam Waterland Marathon. With these weather conditions the possibility of an successful attack on the current track record (1.40.20) held by Manuel Busto Fernandes rises. The senior men competitors can expect a though international competition as some of the world’s top ranked athletes are joining the race. Two (former) World Champions Manuel Busto Fernandez and Emilio Merchan will compete against the Dutch winner of the 41st edition Joep van Bakel and Dutch sprint champion Bram Brandjes (5th place 500 meter World Championships). 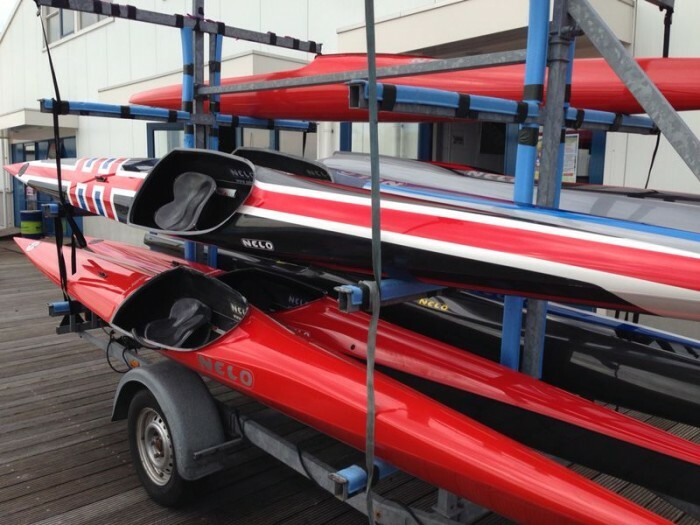 The international competition comes from a delegation of the Great British canoe union, Irish, Italian, German, Belgian, French, Norwegian, Danish and even an Australian competitor. The organization of the 42nd edition of the Amsterdam Waterland Marathon has succeeded yet again to attract a growing number of competitors. At this point already 120 competitors have subscribed and the subscription is still open for any last minute deciders. Among those competitors there is a growing number of women competitors and junior men. 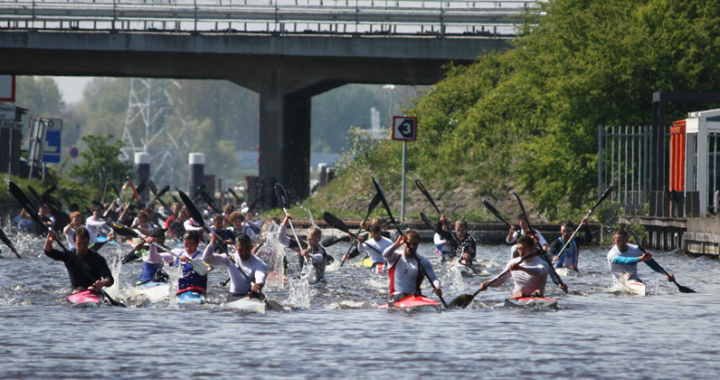 The combination of a though ‘classic style’ competition in a unique Dutch landscape is clearly appealing within the international canoe marathon community. Canoe association Viking from Amsterdam is proud to be the organizer of an event with such a large international scope. Only few days left to raceday! We are counting down fast to raceday. With over 100 participants coming from 15 different countries we should be set for an exciting race! Thinking you would like to join? Better act fast, because these are the last days subscribing to the race is still free! Welcome to Amsterdam Waterland Marathon. Keep checking out the site for updates.